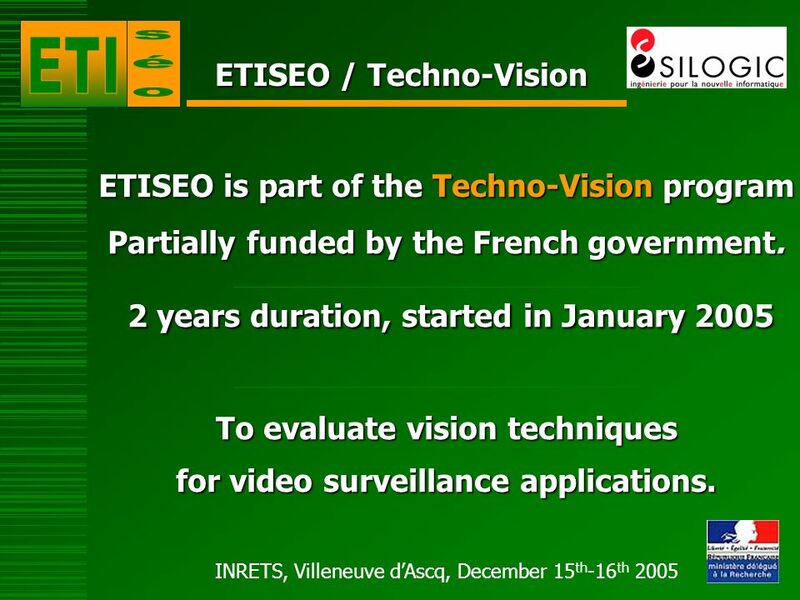 2 INRETS, Villeneuve dAscq, December 15 th -16 th 2005 ETISEO / Techno-Vision ETISEO is part of the Techno-Vision program Partially funded by the French government. 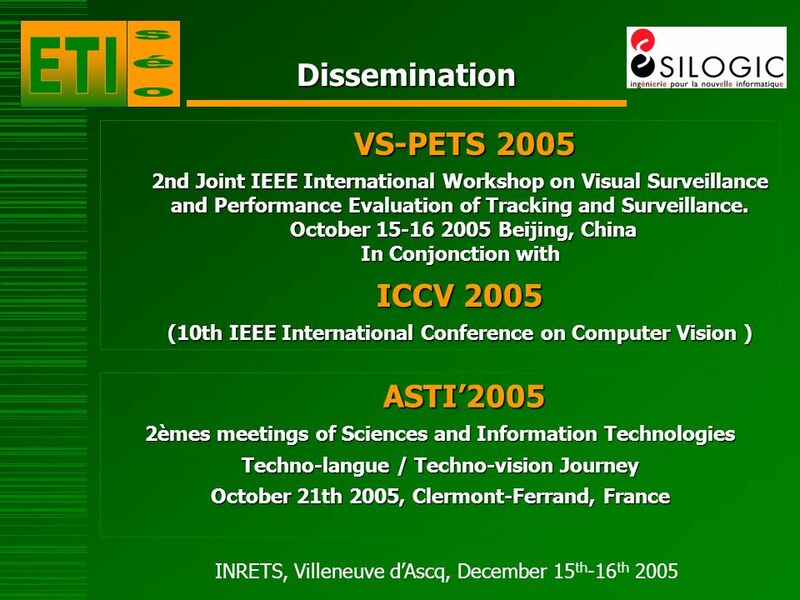 2 years duration, started in January 2005 2 years duration, started in January 2005 To evaluate vision techniques for video surveillance applications. 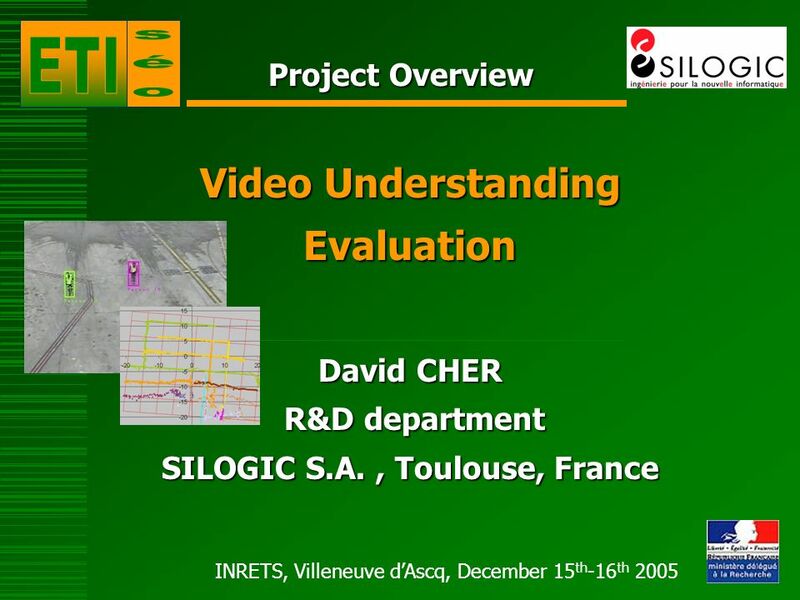 Download ppt "INRETS, Villeneuve dAscq, December 15 th -16 th 2005 Project Overview Video Understanding Evaluation David CHER R&D department R&D department SILOGIC S.A.,"
European Commission eLearning Initiative WP4 Teaching training actions l Learning by doing l Innovations l Need to learn l Learning in collaboration l.
THE BASICS OF SYSTEMS ENGINEERING THROUGHOUT THE LIFE CYCLE 16 January 2003 North Star Chapter. 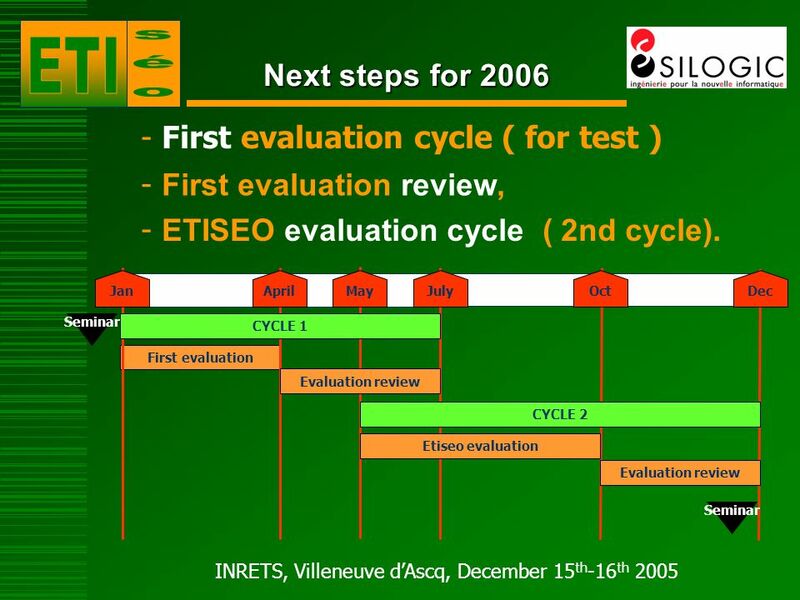 1 Patricio A. Bernal, Executive Secretary IOC The Indian Ocean Tsunami Warning System : A Progress Report. Intergovernmental Oceanographic Commission. LOD Map – A Visual Interface for Navigating Multiresolution Volume Visualization Chaoli Wang and Han-Wei Shen The Ohio State University Presented at IEEE. D2 Conceration, Vilamoura, April 16th Video & Image Indexing and Retrieval in the Large Scale V T A L A S Progress Nozha Boujemaa, Scientific Coordinator. 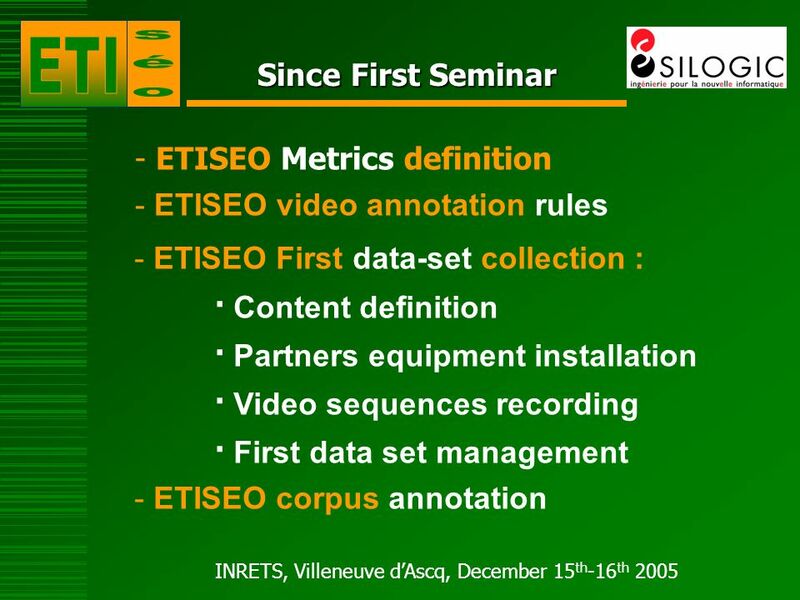 Name Thank you Jill Cousins 30 November 2011, MSEG, Luxembourg Europeana Awareness Events. 3DTV NoE Dissemination & Awareness Plan DTV NoE Dissemination & Awareness Plan Presented By: Levent Onural, Coordinator Presented. 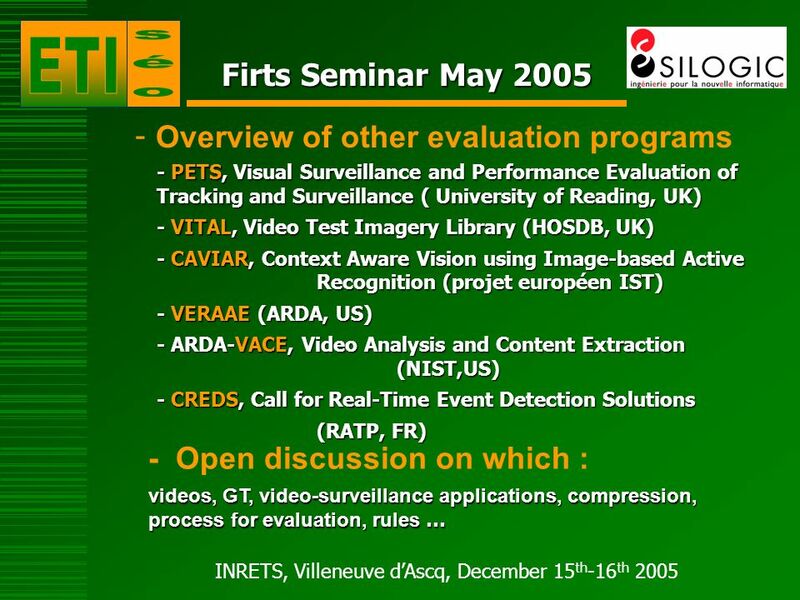 Joint Information Systems CommitteeSupporting education and research JISC Conference 2006 Supporting digital curation to safeguard research data Sponsored. 1 Learning Through Innovation Dissemination Meeting. 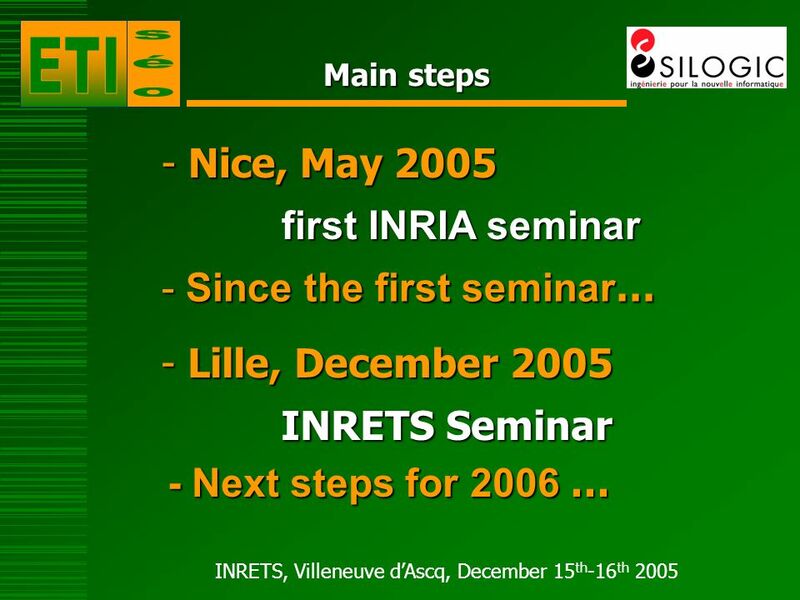 AVITRACK Project FP INRIA Brussels, January 17th 2006. Visual Information Processing. Human Perception V.S. 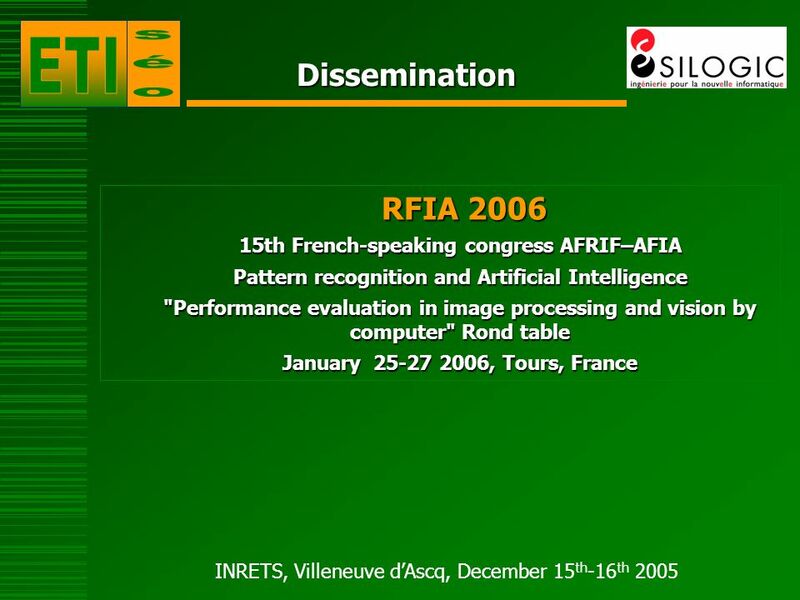 Machine Perception  Human perception: pictorial information improvement for human interpretation.